Every summer it’s the same, it seems: The woods burn, and the smoke settles in heavily over our inland communities. 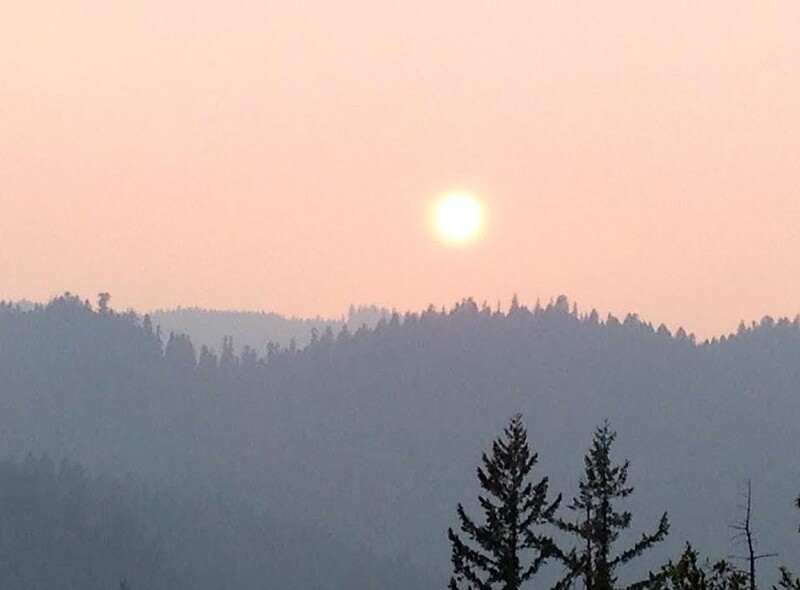 This season, so far, it’s the Happy Camp and July forest fire complexes, and the Oregon fire in Weaverville, clogging skies and lungs — and the North Coast Unified Air Quality Management District has been issuing regular updates on the smoke hazards. Today’s warning from the air quality folks says there continue to be smoke impacts in and around Orleans, Hoopa, Willow Creek and Weaverville. This warning is especially important to those sensitive to smoke, with health issues – like asthma and heart disease – or who are very young or old, or pregnant. Those folks should stay indoors, or get out of the smoky region altogether if they can. “All others should limit prolonged or heavy activity and time spent outdoors,” says the district. “Even healthy adults can be affected by smoke. Seek medical help if you have symptoms that worsen or become severe. Minimize or stop outdoor activities, especially exercise. Stay indoors with windows and doors closed as much as possible. Do not run fans that bring smoky outdoor air inside – examples include swamp coolers, whole-house fans, and fresh air ventilation systems. Run your air-conditioner only if it does not bring smoke in from the outdoors. Change the standard air conditioner filter to a medium or high efficiency filter. If available, use the “re-circulate” or “recycle” setting on the unit. Do not smoke, fry food, or do other things that will create indoor air pollution.